Choose your own hours. Earn more than ever before. Build a business that sets you FREE. You probably started your business because you thought entrepreneurship would give you more free time and financial freedom. You probably had a vision of giving enormous value to your clients and customers, while also enjoying lots of quality time with your family, travel, and an abundant bank account. Is this the reality of your life and business today? WHAT IS BUSINESS FREEDOM 365? Business Freedom 365 is a 12-month video training program for entrepreneurs. For the first 4 weeks of each month (for a full year!) you’ll get videos and actionable worksheets from seasoned businessman and internationally-renowned mainstage speaker, Eric Edmeades. An international entrepreneur, Eric Edmeades has spent over 20 years launching, buying, selling and turning around businesses in 6 countries. He’s logged over 10,000 hours on stage and has spoken in over 20 countries around the world. With a bio like that, you might think that Eric is working 7 days a week, filling every waking moment with some task or to-do, right? In reality, Eric only spends a few hours each day on his computer. The rest of his time is spent kite-boarding (his favorite pastime), enjoying quality time with his family at their home in the Dominican Republic, and traveling the world for fun. Business freedom isn’t a catch phrase or fluffy intellectual concept. Eric lives by these words, and the success of his business, health and personal life is a testament to the fact that you can have it all. 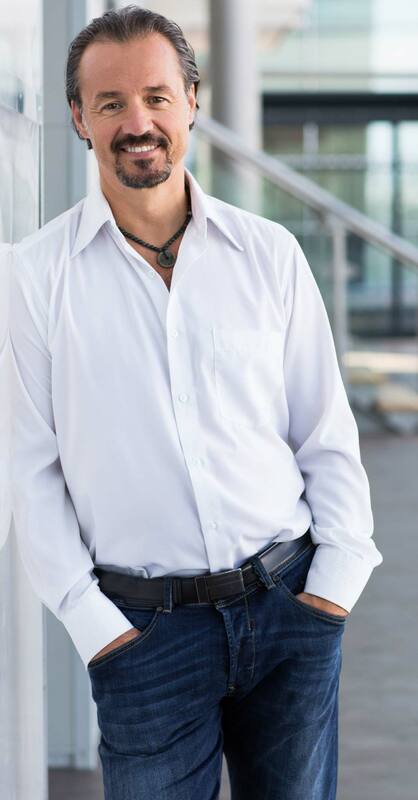 The combination of his decades of experience and talent for teaching makes Eric the perfect person to show you how to build a lucrative business that gives you MORE freedom , not less. Eric is a top level consultant. He has a brilliant business mind and you should count yourself lucky if you have the opportunity to work with him - and you should be terrified if he is working with your competitor. Eric has an intuitive grasp of two important things: how to get your message out of you and how to get your message out to the world in the most effective way possible. Every day you get to spend with Eric is like 10 years of stage experience. GREAT VIDEO, GREAT SPEAKER, AWESOME CONTENT! I've been in Eric's workshop in Budapest, and one of my best training experience! Thanks Eric, keep up helping businessmen achieving freedom! Increase revenue while living your dream lifestyle. Imagine what your days will look like when you’re only working on the parts of your business that you enjoy most. Imagine how your personal life will transform when you have substantial free time to take care of your health, be a present parent and spouse, and pursue the passions and hobbies that light you up. Imagine your ideal day, week, and month. Your business is thriving. You’re creatively fulfilled. Your family is healthy and happy. Your life is full of joy. Can you see that vision in your mind? With Business Freedom 365, you can make that dream a reality. Your Business Freedom 365 experience starts NOW! PLUS! THERE'S A MONEY BACK guarantee. If you reach out to after you’ve completed the entire program, and you’ve watched all the videos and completed all the worksheets, and you haven’t seen any progress in your business or life, we will happily return your investment, prorated to the date of your cancellation request. PLEASE NOTE: You have to do the work. Business Freedom 365 is for business owners who are committed to increasing their revenue and their quality of life simultaneously. This training will absolutely speed up your progress, but you will only benefit from this content if you’re willing to show up and do the work each week. You must watch the videos, do all the associated work and put the strategies into action to be eligible for a refund. If you’re unsure about whether The Business Freedom 365 is right for you, email us at helpdesk@clientservices.ee Tell us a bit about your business and life priorities, and we’ll give you our honest opinion about whether or not this is a fit. Do I need to have an established business to participate? Whether you’re running an established business or you’re at the very beginning of your entrepreneurial journey, The Business Freedom 365 will teach you the practical and powerful strategies that will transition you from self employment to true business ownership. My business partner, spouse, friend would really benefit from this material. Can I share it with them? We appreciate your generous intentions, and the answer is no. When you join the Business Freedom 365, you’ll get personal and unique log-in access for you, and you alone. If you know someone you think would benefit from it, please send them this URL and encourage them to join you.